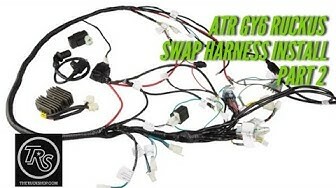 For those who are looking to run STOCK 8-Pole stator on the harness, please be sure to add the 8 Hole harness jumper by clicking button so that it will allow you to run a STOCK 8 pole charging system! 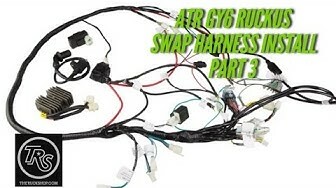 Jumper plugs into rectifier spot on ATR Harness. 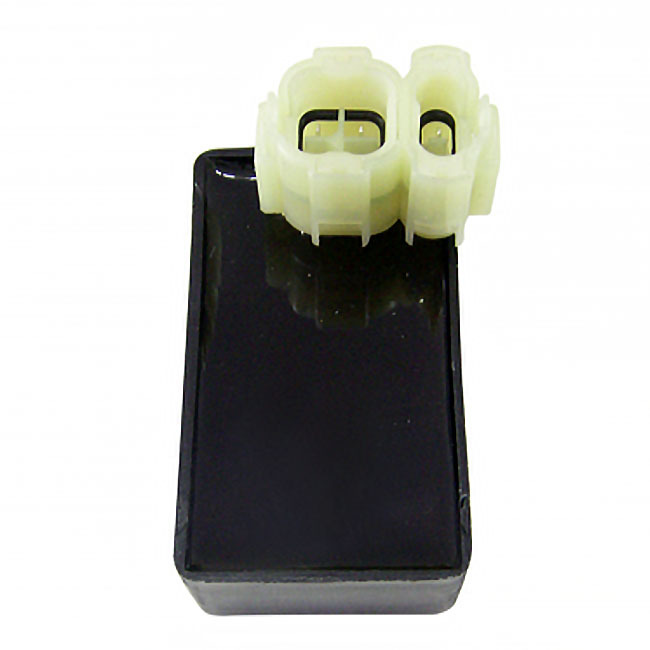 IF YOU ORDER THE JUMPER YOU WILL GET THE CORRECT 4 PIN RECTIFER NOT THE 5 PIN FOR AN 11 POLE. WE DO RECOMMEND THE 11 POLE STATOR. MAKE SURE ALL GROUNDS ARE GOOD. IF YOU HAVE POWDER COATED BOTH FRAMES. PLEASE REMOVE COAT OR PAINT WHERE THE TWO FRAMES MEET FOR PROPER GROUND. ALSO DON’T FORGET TO GROUND THE STOCK OEM GREEN HEADLIGHT HARNESS. MOST ISSUES NO START ISSUES ARE FROM POOR OR NO GROUND. 1) Connect the fuel sending unit to the ATR wire harness. 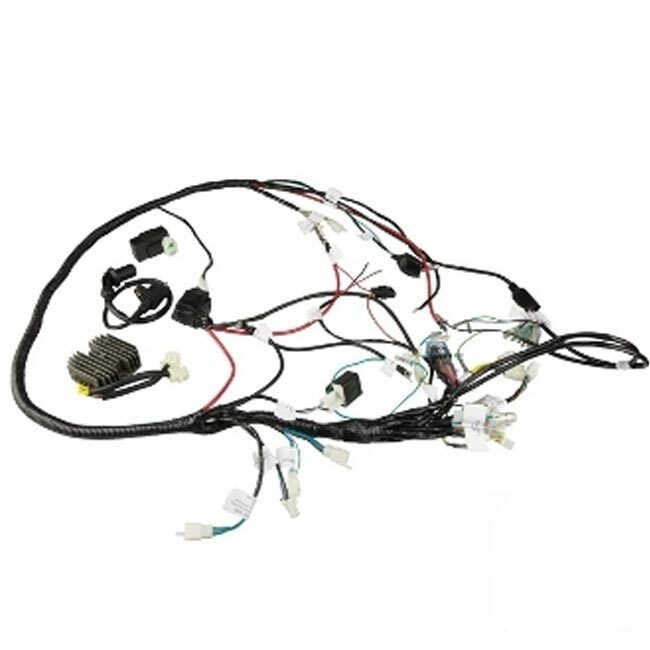 Reusing the OEM connector is recommended, so you will have to cut it off of the OEM harness and put it into the ATR harness. 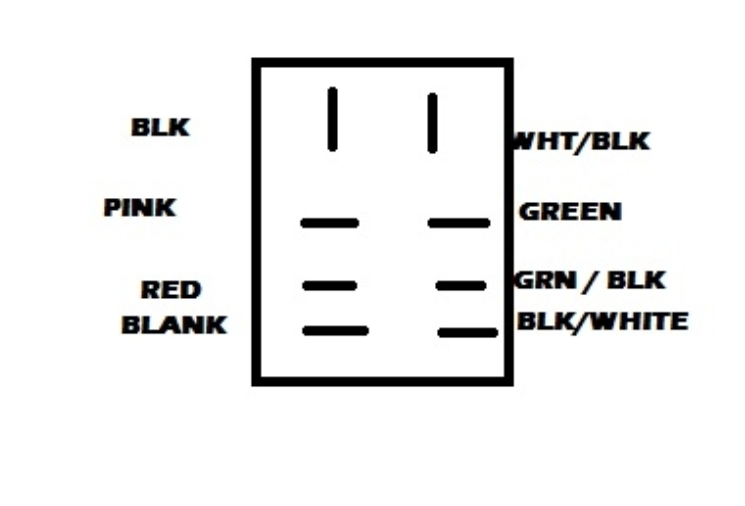 Connect the two color coordinated wires ([Sender] Blue/White to [ATR Harness] Blue/White, [Sender]Green/black to [ATR Harness]Green). 2) Connect LED drive unit. This is the black box under the 2 indicator lights. 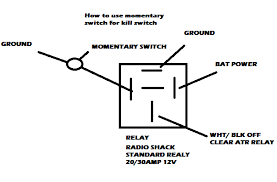 Plug the Fuel Indicator light to the LED drive unit, then plug the large connector on the LED drive unit to the ATR Harness. 3) Connect the OEM resistor (located under the OEM ECU that was removed). Connect this to the resistor connector on the ATR harness. If using the 5 pin rectifier that comes with the harness and you didn’t buy from us with an 8-pole stator. You must cut off plug on 5 pin rectifier and hard wire. We HIGHLY RECOMMEND GETTING AN 11 POLE STATOR FOR BETTER CHARGING AND USING THE 5 PIN RECTIFIER. Since other rectifiers may different from manufacturer to manufacturer we recommend you either purchase and 11 pole Stator to swap in the motor. The right throttle have 2 wires that go to one button on the handle. You can have it wired to turn over the engine. 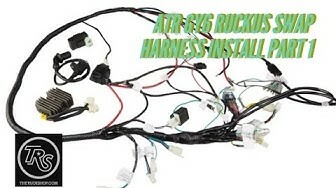 The Ruck Shop is not responsible for any electrical issues that may result in the installation of a GY6 Wire Harness and should be installed by a professional.